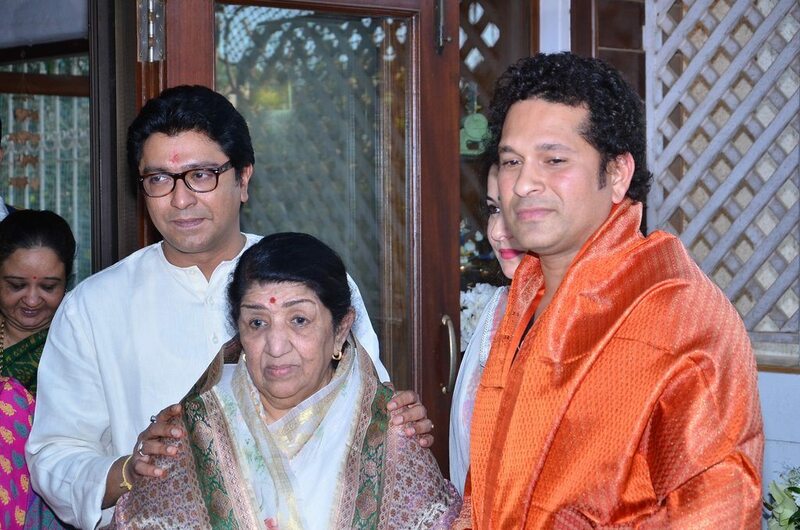 BollywoodGaram.com: Former Indian cricketer Sachin Tendulkar and veteran Indian singer Lata Mangeshkar were honored by the MNS chief Raj Thackeray in Mumbai on March 9, 2014. 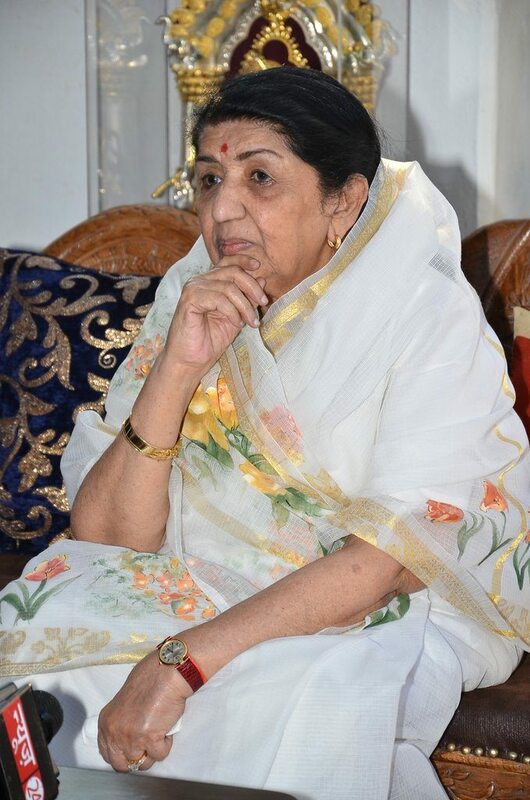 The occasion was the anniversary of Thackeray’s MNS party. 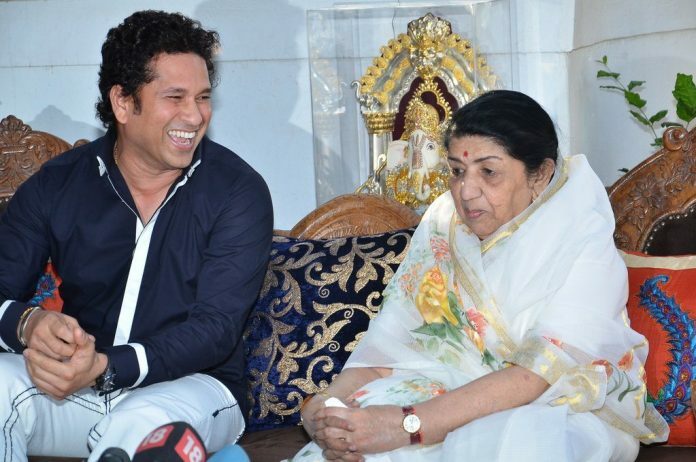 During the event, Sachin said that when he used to travel abroad to play cricket, he used to listen to the songs of Lata Mangeshkar. 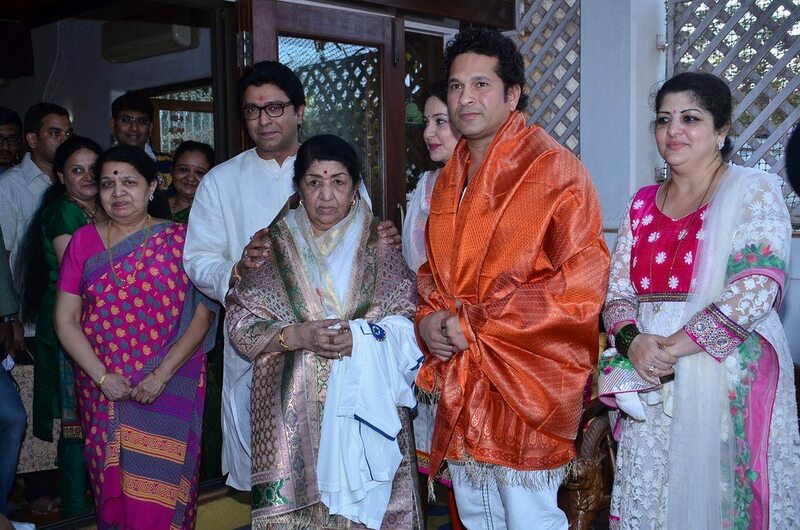 The former Indian cricketer said, “You have been my silent companion.” The two veterans were invited to Raj Thackeray’s residence in Shivaji Park on the occasion of the eighth anniversary of his party. 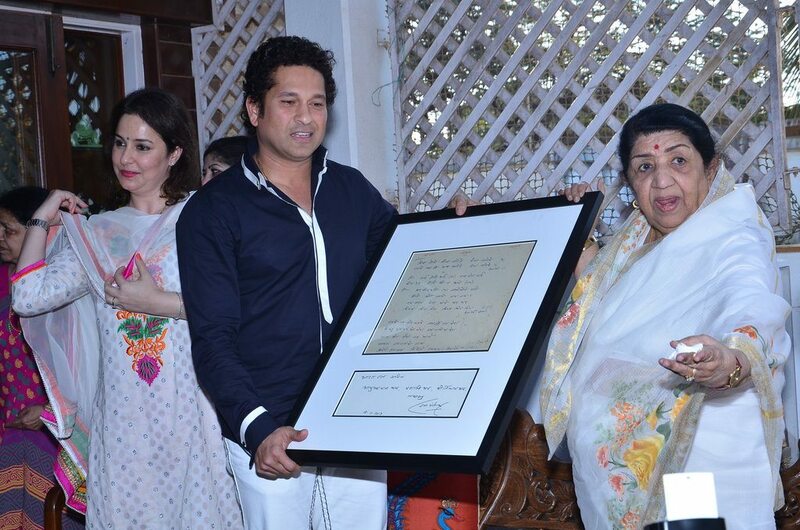 The singer presented the cricketer with handwritten songs of hers, while he presented an autographed T-shirt in return.